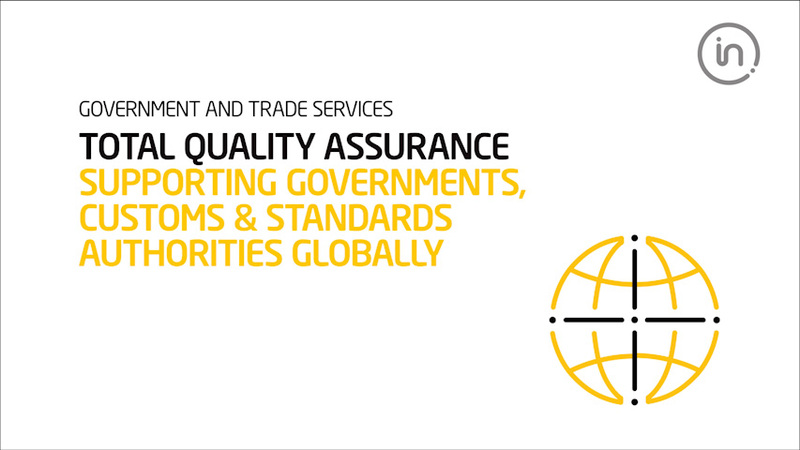 Intertek Government and Trade Services rely on extensive experience in facilitating trade, to develop and deliver new Total Quality Assured services for governments, customs, authorities and standards organisations. These services facilitate international trade through compliance of import and exports with regulatory requirements. Our services generate revenue through customs duty, improve efficiency, enhance security of the supply chain and ensure best practice of the international trade process. Intertek ADVANTAS, the Advanced Trade Assessment System brings together a range of new Customs tools and technologies. Intertek ADVANTAS™ can deliver a step change in performance without compromising trade. Enhancing Customs efficiency using e-business technologies including a Valuation Information Programme and Risk Management Systems. Single Window is an integrated web portal that offers a completely interactive experience to the end user. Allowing a holistic experience to all those involved in the trading process to store documentation in a single framework. The Single Window allows carriers, shipping agents, clearing agents, importers and consolidators to post their shipment manifests and follow the customs clearance process through a secure web-based portal. Intertek offers supply chain security services to governments, airports, customs organisations, port authorities and businesses for protection from all potential supply chain security risks. Intertek Conformity Assessment Programmes ensure that products are fully tested in accredited laboratories and a certificate of conformity (CoC) issued before they are shipped to the clients country. Tests are carried accordingly to national or international standards. Intertek's global coverage offers wider insight and a local presence with a network of over 1000 offices and laboratories. This presence means that we can operate Conformity Assessment Programmes for Governments covering an extensive range of products. Intertek provides pre-shipment inspection services to governments as a means of protecting import revenues for themselves and their citizens. Governments implement PSI programmes to ensure that imports comply with their regulations and the correct customs duty is received.